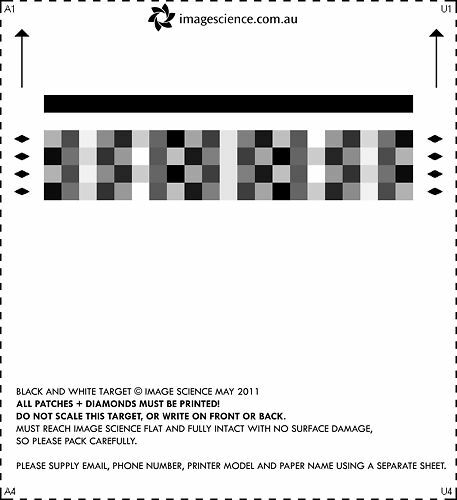 These instructions are for printing your custom printer profile target for our Image Science profiling service. Profiling is a process that requires you to follow the instructions very carefully. If you fail to do so precisely, the process won't work! Processing custom printer profiles involves us reading a colour target as supplied and producing the corresponding printer profile. If the process fails because the target was not printed correctly, you can send us another target and we will remake your profile for you, however there is a $25 fee for this as we must repeat the entire process. It's actually pretty simple but do follow the instructions carefully and if in doubt ask a computer savvy friend for assistance, or call us with your questions. Run all self diagnostic tests your printer has and make sure it is operating perfectly - Make certain your nozzle check is 100% ok!! Do a nozzle check right before you do your profile target print and check it very carefully. This is really not optional - often, clogs (particularly in light colours) will not result in obvious streaking but subtle colour shifts. When the clog clears, your printer will start to output different colour and this will invalidate the profile you've had made - there's no point profiling a broken clogged machine. Make sure you have a few sheets of the paper you are having profiled standing ready. Profiles are paper specific so the target must of course be printed on the actual paper your are having profiled. Download and extract this free utility from Adobe to actually print your profile target. - While the linked page sort of looks like a bug report, the actual download links are a couple of paragraphs from the top. - Both Mac and Windows versions are available. (N.B. - If you're on Mac OSX Lion or later, you may need to change some settings to run this app. - You can NOT print your ICC profile targets from Photoshop or Lightroom. You can of course use your profile, once made, with these applications. 1. 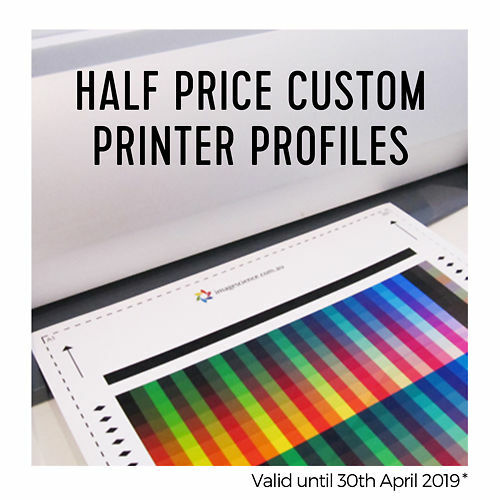 Always download our latest colour profiling target from this page - it can sometimes change as we improve our processes so make sure you use the latest version, not an old one you might have on your computer. 2. Open the profile target image in the Adobe Color Print Utility (and to repeat to be completely clear: you can NOT print your profile targets using Photoshop or Lightroom). N.B. - If you're on Mac OSX Sierra or later, you may need to change your security settings temporarily to actually run this utility). 3. Click 'Page Setup' and make sure the page size is A4 paper. Click 'Ok' to return to the main window. 4. Now hit 'Print' and move through into the properties for your printer driver. 5. This next step depends very much on your printer driver. In short, you choose the best matching paper type available in your driver (say you are having Ilford Smooth Pearl profiled - you would choose something like 'Premium Semi-Gloss' in the driver). You choose the appropriate print quality level (usually labeled Best Photo, 2880, or Highest). And you must disable colour management as per the appropriate tab for your printer below. Also, if your printer offers a gloss optimiser option, turn that off while printing the target. Please pick and open the correct section for your printer. We have chosen a quality level of 'SuperFine' in this case, but you can choose whichever suits you best. Most people just choose the highest setting. Generally the highest or one step down from the highest quality level is appropriate - and your profile will only be valid for this specific quality level, so choose wisely (maybe print several copies of the profile target to help you choose the best compromise between speed and quality). On our Epson 7900, we have left 'High Speed' ticked. With newer printers (2007 on) this is generally fine to do but models made before 2007 can have alignment issues with this ticked, so if your printer is older, we recommend leaving this unticked. Edge smoothing should be unticked, and finest detail you can choose ticked or unticked (your printer is slower but sharper in finest detail mode). Save your settings once you are sure you have them correct. Remember that when you get your profile back you will need to use exactly the same driver settings. You can now print your target image. NB IMPORTANT - In Recent Mac versions (Mojave+) there is a bug in various Epson drivers with the 16 bit print option. Please make sure this is unchecked for all printing, including when printing your target, as per the screenshot below. (In practise, even when working, it offers no real discernible quality benefit anyway). In the Colour Matching section of the driver, you will see it is set to 'ColorSync' and will be unable to change this - this is as it should be. Move into 'Print Settings'. In this example, we have set the printer paper type to Premium Lustre Photo Paper as we are profiling Ilford Gold Fibre Silk which is a lustre (pearl, semi-gloss) paper. We have also set the Colour Settings to 'Off (No Colour Adjustment')'. We have chosen a quality level of 'SuperFine' in this case, but you can choose whichever suits you best. Edge smoothing and finest detail you should leave unticked. This message is saying that if you have enabled colour management in your applications, and if you have no other better profile, the profile you should have chosen in your application is the one they list. But we have explicitly disabled colour management by using the Adobe utility so this message is not relevant. (This says the colour management mode is 'ColorSync' but we have turned off colour management in Photoshop, and the driver is set to No Colour Adjustment, so ColorSync won't actually do anything!). Make sure to set an appropriate paper type (i.e. choose the paper most like the one your are using, so say choose Canon Photo Paper Premium Gloss if profiling Ilford Smooth Gloss), and set your desired print quality. (Record these settings as you will need to use them again later once you have your profile!). If you have a large format Canon Printer, you might want to check this page for recommended settings for both the printer driver and Photoshop plugin (we recommend using the plugin). 6. Now check your target print - is all of it there, at the correct size (approximately 19.8 x 28.6cm measured at the dashed border)? Are there no blotches or streaks or faint lines in the print? If there are any quality issues, re-run your printer diagnostic checks, and then re-print the target. (N.B on Windows, the ACPU has a bug that does sometimes scale the target slightly. If your target is within ~1cm of the above listed size in both dimensions, it should still read ok, so no need to re-print unless we let you know of an issue). 7. Leave your target to dry for 24 hours (colour can shift within the first few hours particularly), and then mail it to us. Make sure you send it to us flat packed in an envelope with card so it arrives to us undamaged! Don't forget to supply on a separate sheet your name, email address, and the printer and paper details. We will email your profile back within a day or two of receiving the target. 8. Submit a corresponding online order of a custom profile to lodge your payment and contact details using the product to the right. 9. When you get your profile back, follow the instructions below to use it. Please note this black and white profile service is only intended for recently made printers with specialist black and white printing modes using multiple black inks (like Epson's Advanced Black and White mode), or other printers producing already very neutral prints via a RIP like ImagePrint or QuadtoneRIP. It is designed to give you accurate tonal placement via accurate soft proofing, and to indicate paper tone accurately. This process will NOT neutralise a non-neutral printing process. We're one of only a handful of services in the world to offer custom ICC profiles specifically for black and white printing. Whether you use the new Advanced Black and White mode with the Epson pigment ink printers, or something more exotic like Quadtone RIP, your black and white printing process can be profiled - and thus you can open up the world of soft-proofing your black and white prints, just like you are (hopefully) soft-proofing your colour prints already. Having an accurate soft proof allows you to better pre-visualise your results. You can see the difference between papers without actually printing, and can place tones in your image more precisely at the points you want between d-max (your darkest possible black) and d-min (the lightest grey you can print). 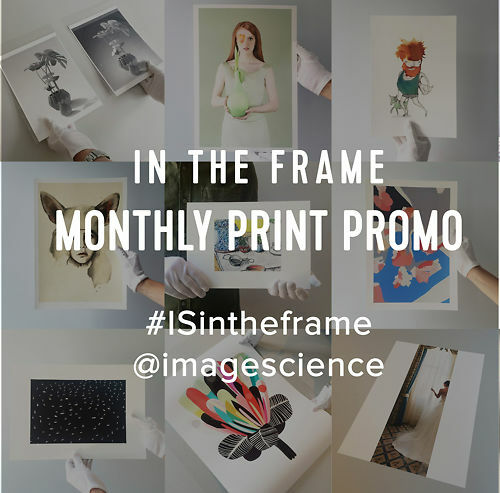 You can also see how the white point of a particular paper will affect your print - to decide, for example, if your image will be better printed on a warmer fine art stock, or a bright white semi-gloss stock. 1. Always download our latest black and white profiling target from this page. 2. Open our profile target in the Adobe Color Print Utility (and to repeat to be completely clear: you can NOT print your profile targets using Photoshop or Lightroom). 3. Click 'Page Setup' and choose A4. Hit 'OK' to return to the main window. 4. Now move through to the printer driver by hitting 'Print'. 5. The next stage depends very much on your printer driver. In short, you choose the best matching paper type available in your driver (say you are having Ilford Smooth Pearl profiled - you would choose something like 'Premium Semi-Gloss' in the driver). You choose the appropriate print quality level (usually labeled Best Photo, 1440, or Highest). And you engage your printer's specialist black and white printing mode and set all tone controls to neutral and a normal density curve (not dark or darker if these are available). Here we have chosen Archival Matte as the paper type as we are profiling a fine art matte paper (Museo Portfolio Rag). We have set the driver to print one sheet of A4 as required. We set this to 'Neutral Normal' by setting 'Colour Toning' to 'Neutral', then 'Tone' to 'Normal'. There is a quirk in the Epson driver that means when you set the tone to normal, the colour toning setting changes to 'Current Settings' - but it is still set to neutral (you can see nothing moves on the toning wheel). (N.B. You don't have to use 'Neutral Normal'. If you make the target print and you see a colour cast (or want a colour cast! ), you are free to tone your sample however you see fit. The profile we make you will reflect whatever tone is printed. Some clients make three profiles - a neutral, a cool, and a warm. This way they can soft proof three distinct colour tonings that are suitable for different types of images! Also, if you are using a warm paper, the 'neutral' settings might be a bit cool for the paper, and vice versa for a cool paper. Tweak the toning as you see fit to produce the best target print on your paper, but remember to save your settings as you will have to recall these when you actually make prints with the profile later). If you are sure all your settings are correct, save these settings in your driver so you can easily recall them later when using the profile. Now, hit 'Print' to make your target print. Edit >> Assign (NOT CONVERT) Profile… >> choose ANY RGB PROFILE. Click OK.
Set Color Handling = Photoshop Manages Colors. 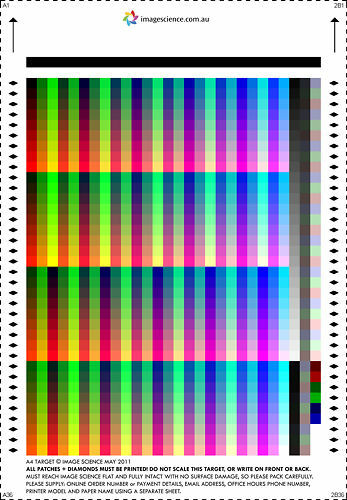 Set Rendering Intent = Relative Colorimetric. Here we are in the printer driver. We have chosen our printer (Epson 7900) and then we are going to step through the 3rd drop down menu and set various printer specific settings. Next we go into the 'Print Settings' section. 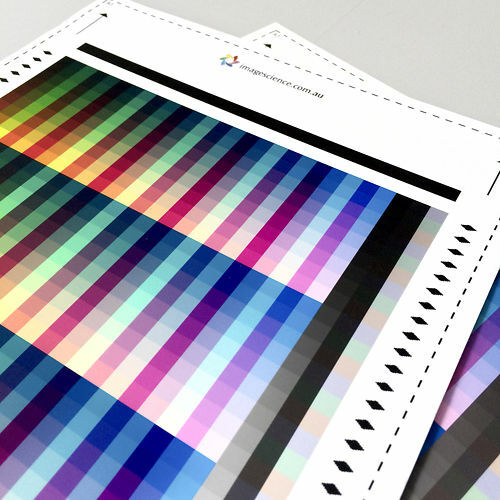 In the 'Print Quality' section, we chose 'Superfine' with Super MicroWeave turned on. We also chose 'Neutral' as the tone on this page. Next, still in 'Print Settings' we choose 'Advanced Colour Settings'. We set this to 'Neutral Normal' by setting 'Colour Toning' to 'Neutral', then 'Tone' to 'Normal'. There is a quirk in the Epson driver that means when you set the tone to normal, the colour toning setting changes to 'Fine Adjustment' - but it is still set to neutral (you can see nothing moves on the toning wheel). We currently don't have screenshots or specific instructions for other printer brands. Just follow the notes above about setting paper type, print quality, and black and white mode in your driver. You can print the target (and later use your profile) with QuadtoneRIP. 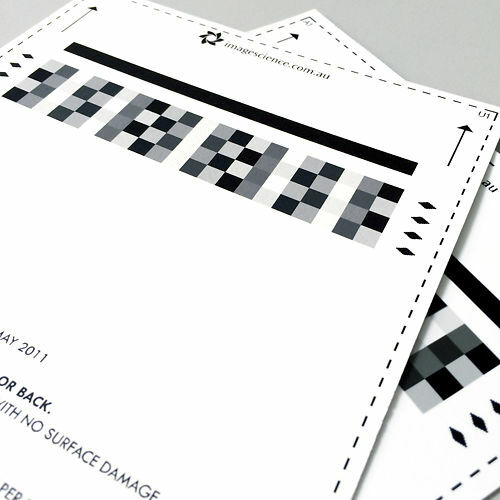 This will allow you to soft proof in Photoshop before making your final print through QTR. When printing the target, on the PC you just open the image in QTRGui, set all the QTR settings, and print. On the Mac you open the image in PhotoShop and print via the QTR Driver. Remember to save your QTR settings as the profile we make will be valid for only those settings/curves! 6. Now check your target print - is all of it there, at the correct size (approximately 15.6 x 17.1 cm measured outside of the dashed border)? Are there no blotches or streaks or faint lines in the print? If there are any quality issues, re-run your printer diagnostic checks, and then re-print the target. 9. When you get your profile back, follow these instructions to use it.